So, I've been mostly consuming Jake for a few years, and switched to Jake Light about a year ago. I've been watching the development of the bars and I'm considering switching. Three Jake Light come in at 1500 calories. It looks like four bars are needed each day to get the required nutrients, but it comes in as around 1300 calories, which is a nice saving. I'm not trying to lose much weight, I just prefer to consume few calories, it helps to offset the occasion weekend of drinking or chocolate binge! So. Is the bar developed enough to be used full time? Does anyone eat four per day? If so, how is it going for you, I'd be grateful to hear about it. My stomach starts rumbling when I exceed 2/day. I think it's the fibres or the gluten, which are notoriously hard to digest. and one of each item (well, two of the banana bars). I totally recommend anyone curious about Jake to buy one of these sample packs without a second thought. The not so great news: The bars are.... not for me. I already knew that I don't much like banana flavour, so consuming the Banana and Cinnamon bar was very challenging. The Mixed Fruit was much better, but I still found that consuming it was a matter of determination over good sense. I just plain didn't like them, which is a shame because they would be perfect for travel. There's no way I can eat more of these, so I'll be sticking to the liquid versions. I've not tried the other flavours in the box yet but I look forward to tasting them tomorrow! I still think the bars are a great idea but they need a lot of work on the taste and texture. Hate the banana bar, love the forest fruit bar. What I don't love is how hard they get when they're cold. I was curious to see how they'd be refrigerated, well they turn into proper bricks. I don't think consuming the bars as a standard part of your diet is a good idea. They have a lot of sugar in them. I don't think that's likely to be gluten. I did a test and ate 8 bars per day for two days straight. It was okay, but my stomach was rumbling more than normal and I don't recommend consuming that many. Hi Mat, a bit of late reply here, but seeing that you like the idea of 1300 vs 1500 kcal/day, what would be your preferred kcal/day? If I had my way, I'd get 100% of the required nutrition etc, with a zero calorie intake Calories can be provided from chocolate quite easily! however, a chocolate based diet has it's own problems, so I'd say 1000 to 1500 is good. I know the general rule of thumb for an adult male is 2000 but that's too clean a number to take seriously. I've been mostly on 1500 for a year or so and feel fine, so I don't see a problem going lower. 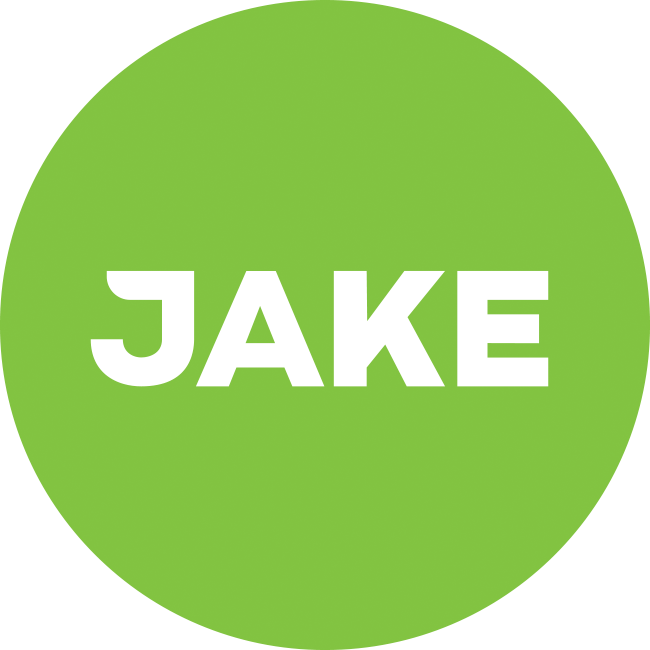 How about it Jake guys, could there be a Jake Zero coming soon ? I'm afraid that's beyond human capability for the time being. The chocolate diet however... R&D might just be working on something like that . I found the bars (Banana & Fruit) great as food when you really need a burst of energy, and better than PowerBars, but yes, I would not want to eat more than one per day, somehow. Not sure why that is, but they are a bit of a punch, in their own way. Mat, my preferences are pretty much aligned with yours: I also switched from regular to light and am pondering switching to the bars. The main difference is that I actually like the bars - a lot. I find them tasting better, easier/faster to eat (especially e.g. when in a car or train or bus), and easier to digest as well. Plus, they are cheaper than the shakes, too. Your idea of having less calories is also something I'd personally prefer. My body simply doesn't need all that much energy. What does bother me, is that they only contain 25% of the recommended amounts of micro-nutrients. I like the 33.3% of the shakes. I tend to have Jake for breakfast and "normal" food the rest of the day, and 33.3% feels like the right amount to balance out the rest of my diet with. If there was a 50% version, I'd probably go with that, even. Not sure if serious or joking, but I actually tried making chocolate fortified with protein and vitamins a while back. I'm sure one could hit have lived on it for many years if they had to. It didn't taste as good as just plain old chocolate, but I guess you can't be picky if you are trying to make chocolate nutritious My chocolate had almost no fibre in at all, which probably would have caused significant digestion problems if it were used as the sole food in a diet.